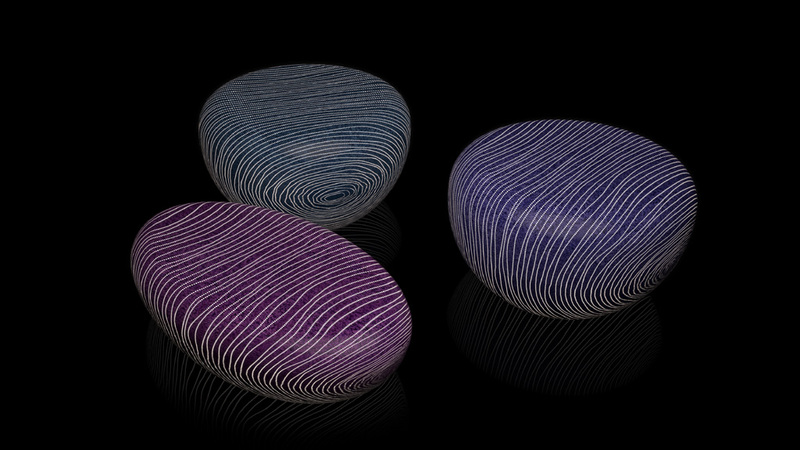 Large matt stones stand out as substantial and sensual, like fascinating organic sculptures that light up at dusk as if by magic. 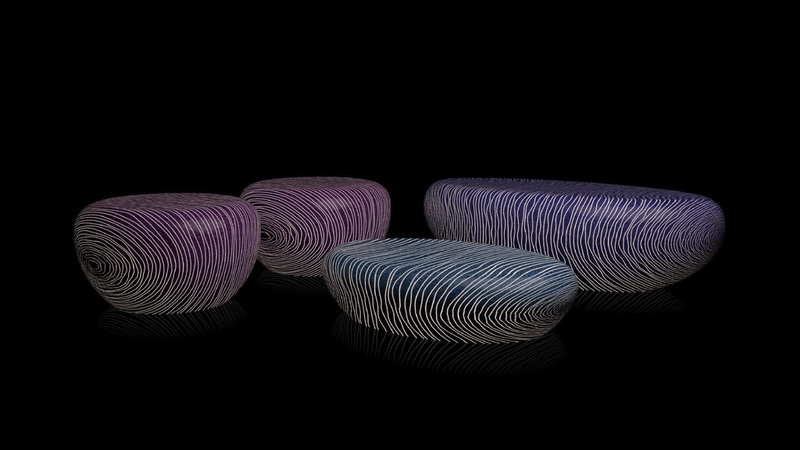 This was the vision of architect Giancarlo Zema when creating an exclusive range of outdoor furniture for the LUXYDE brand. 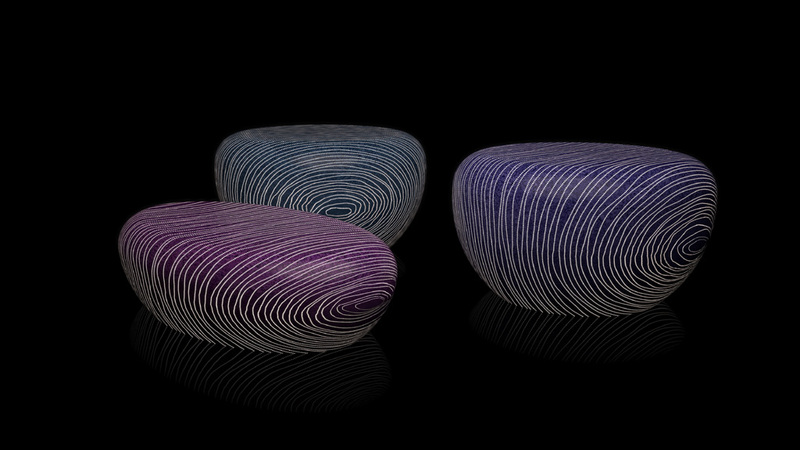 Seats and a coffee table made of translucent eco-cement where the countless veins come to life through the fibre optics, LED technology and RGB colour-changing effect. Led Backlit furniture – A collection of extreme luxury, ideal for furnishing gardens, pool sides, private villa spas and the most exclusive hotel facilities with a unique and almost poetic touch. The RGB LED system for lighting control, included, is absolutely innovative and offers many advantages. 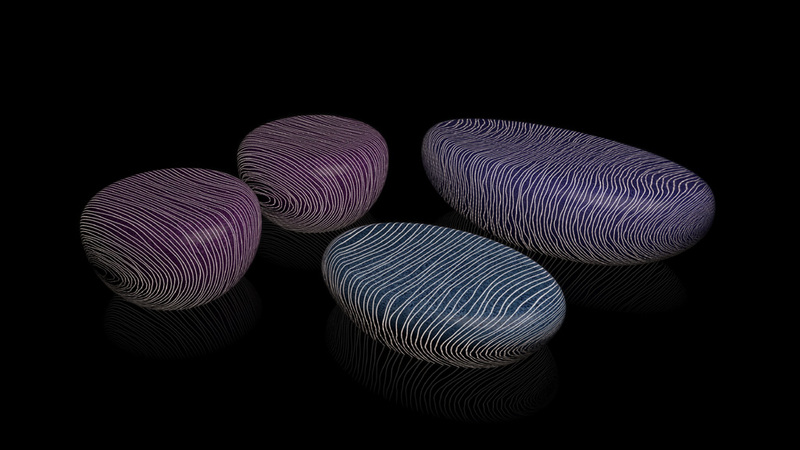 Simply by using the remote control, you can change the effects and timing of your Bright Stones and the environment that surrounds them. The timer unit, very versatile, lets you to plan and to harmoniously coordinate in unison and in real time. You will be able to manage all your Bright Stones objects , choosing colors, lights games or to select the color to light. In addition you can chose the light’s speed, its intensity or lighting effect, even from differently rooms. You’ll have the freedom of implementing your creative ideas and give the right atmospheres for every your environments, which are virtually unlimited and your Bright Stones will become e even more extraordinary and fascinating design exclusive elements.